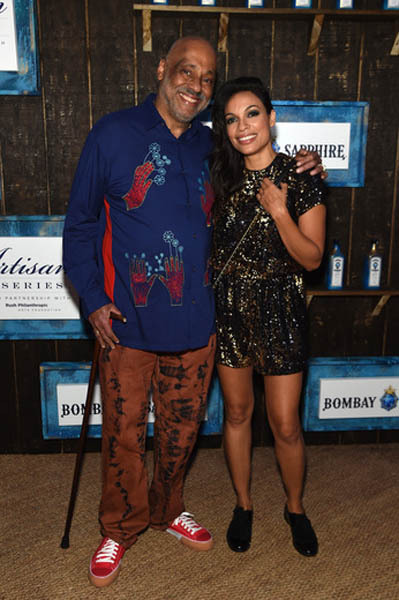 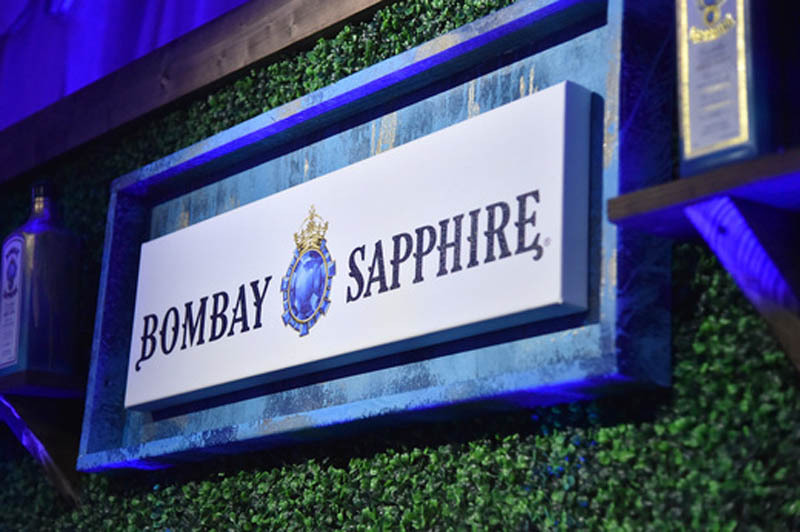 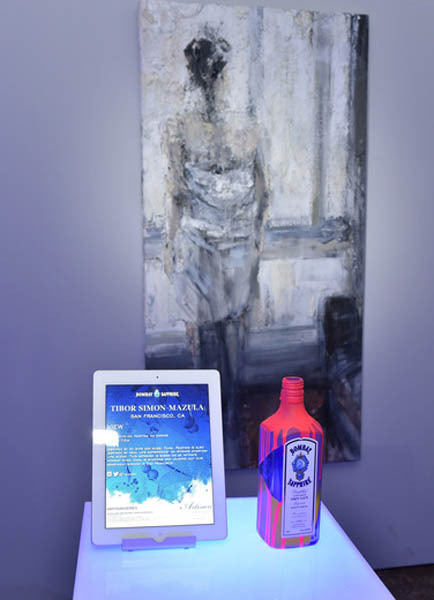 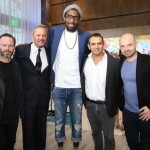 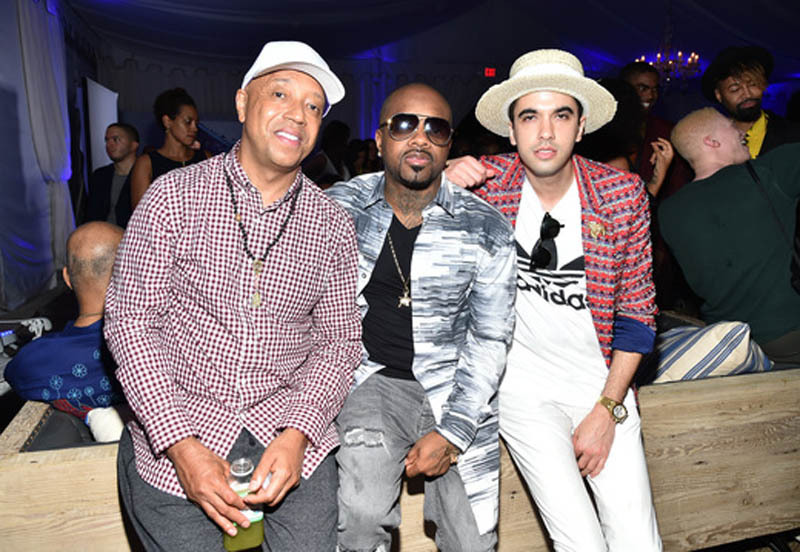 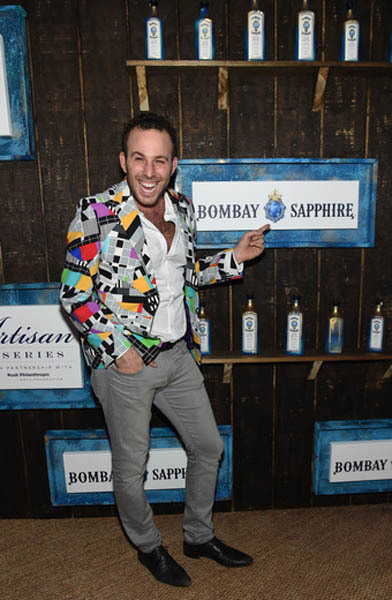 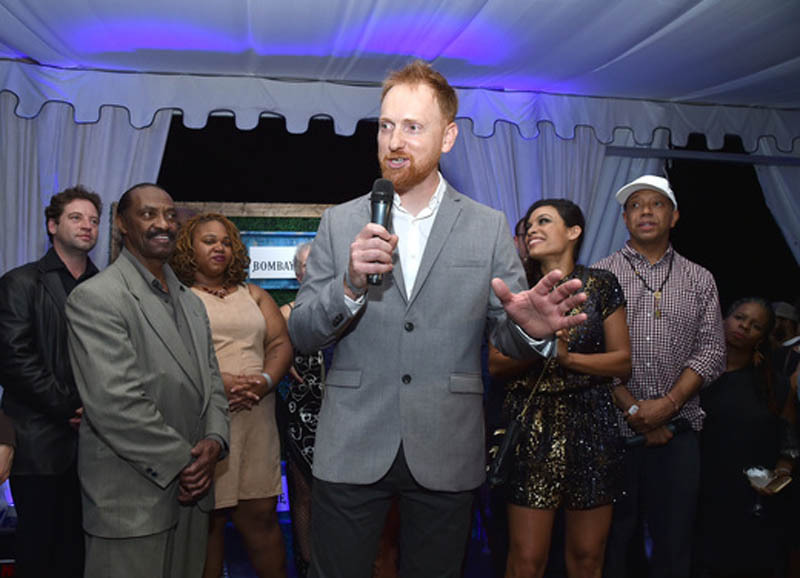 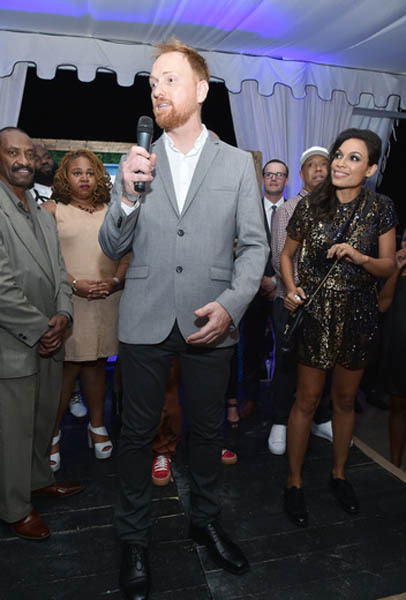 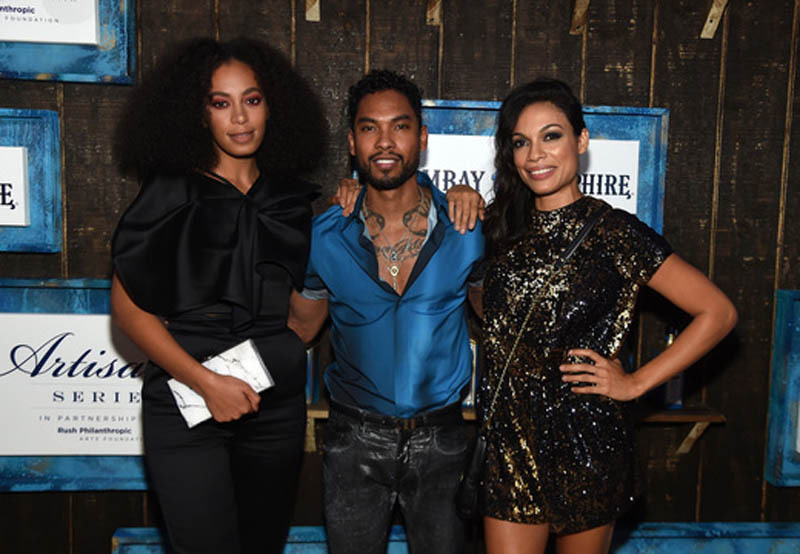 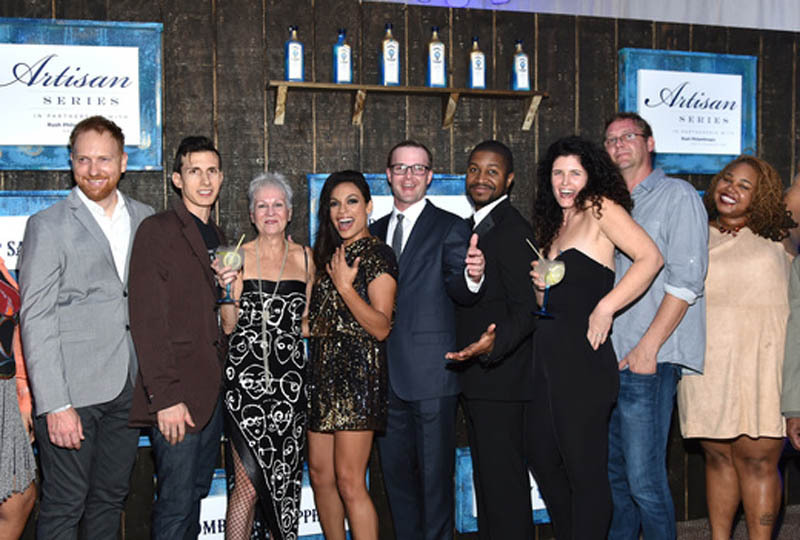 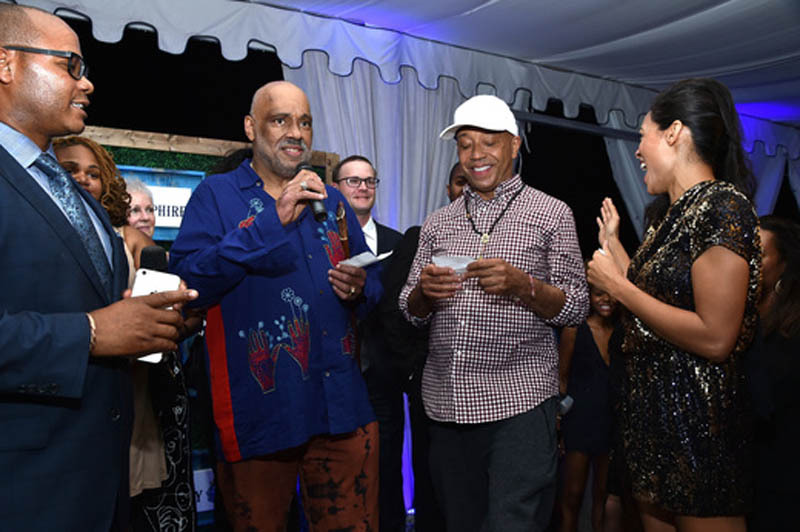 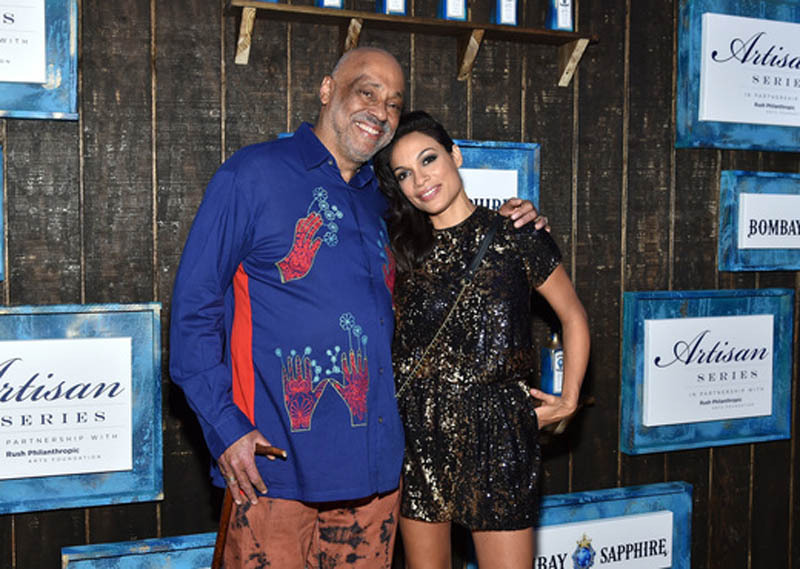 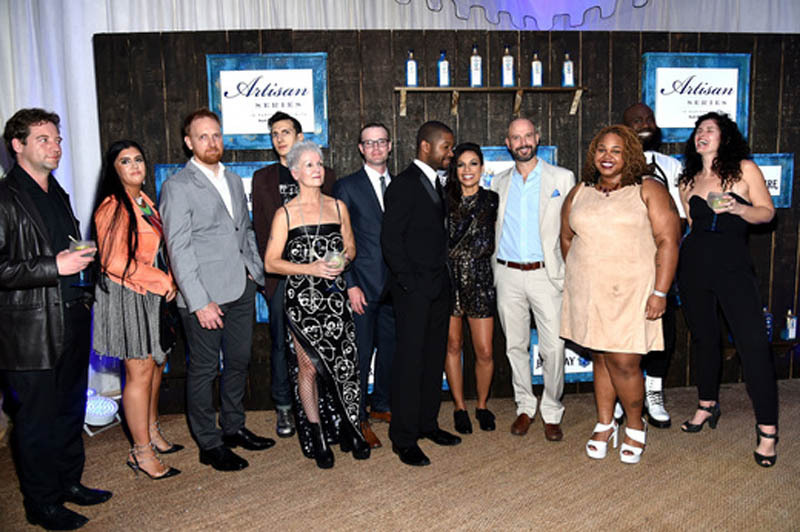 This weekend, during Scope Miami Beach, BOMBAY SAPPHIRE gin, along with Russell and Danny Simmons’ Rush Philanthropic Arts Foundation, announced New Orleans’ Aron Belka as the Grand Finale Winner of the 6th Annual BOMBAY SAPPHIRE Artisan Series. 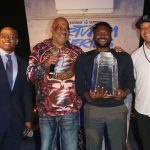 Choosing the victor of the annual nationwide search for the next big names in visual arts took careful consideration from a jury panel including Rush Philanthropic co-founder Danny Simmons, Vice President of SCOPE Art Show Daria Brit Greene, and Afropunk Community Affairs Director Manushka Magloire. 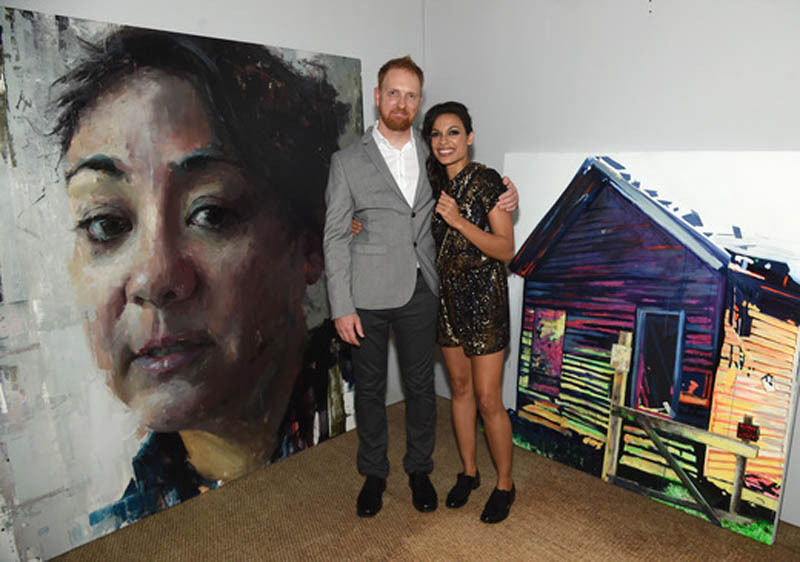 The winning artist, Aron Belka will collaborate with actress, social activist, and Creative Mentor Rosario Dawson on a public mural installation in Spring 2016. 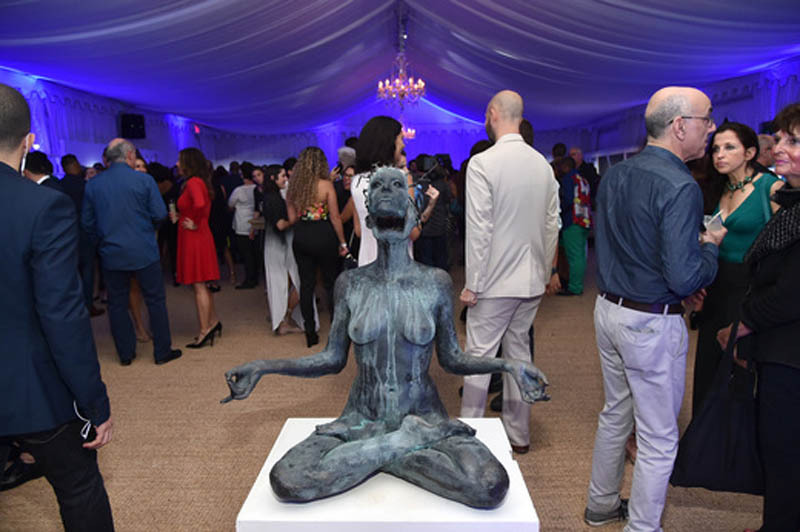 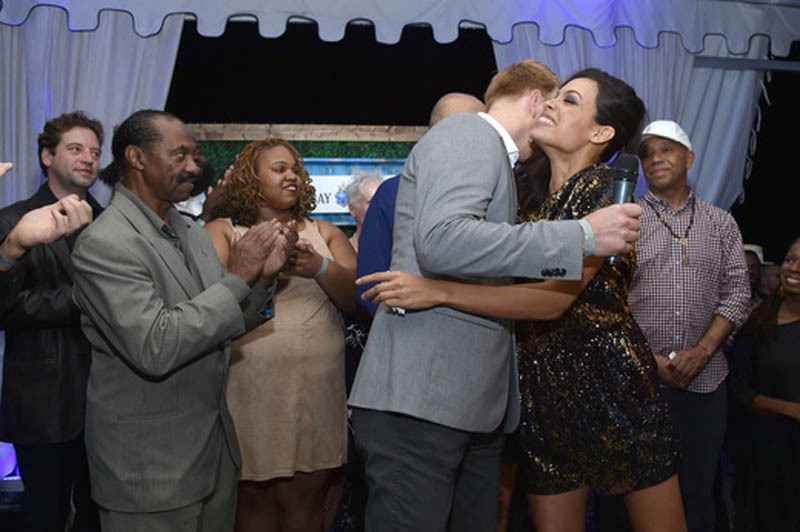 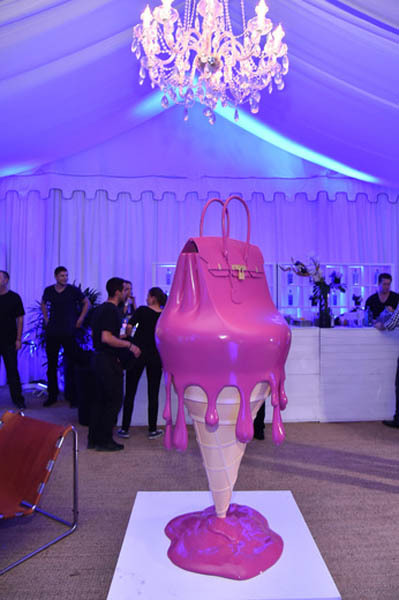 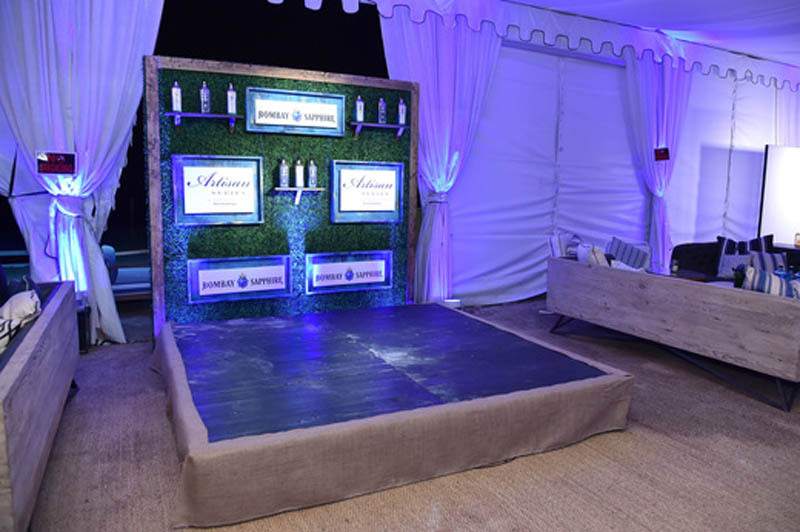 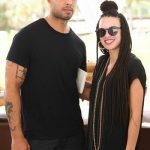 An illustrious mix of celebrities, musicians, socialites, fashion designers and art influencers attended the exclusive finale event at the Beach Tent at Nautilus, a SIXTY Hotel, on Friday, December 4. 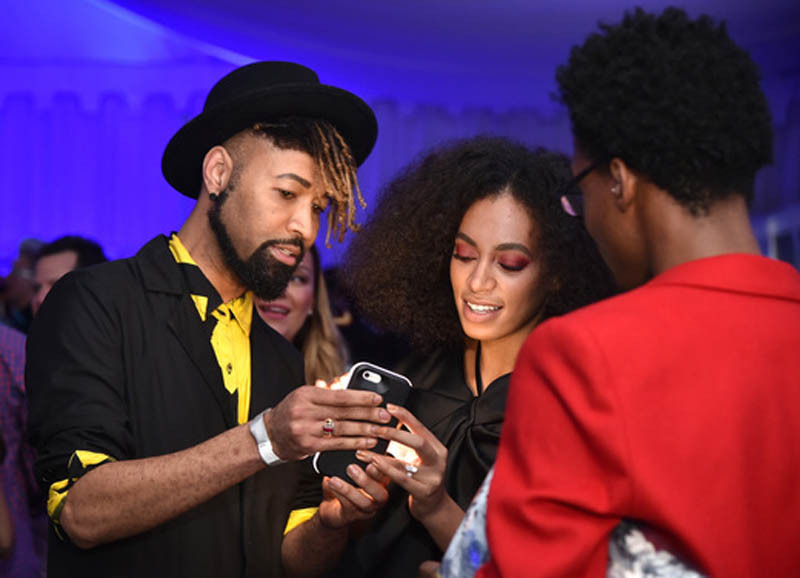 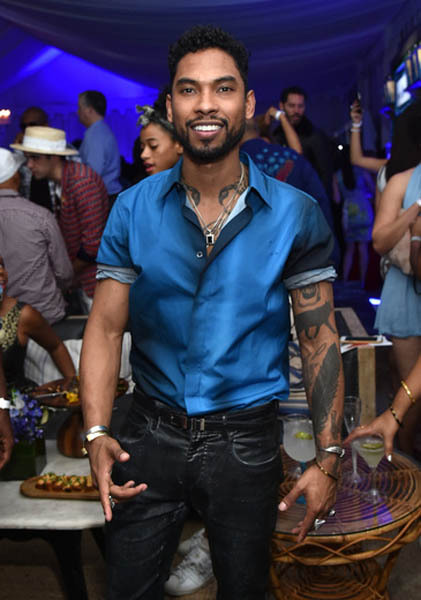 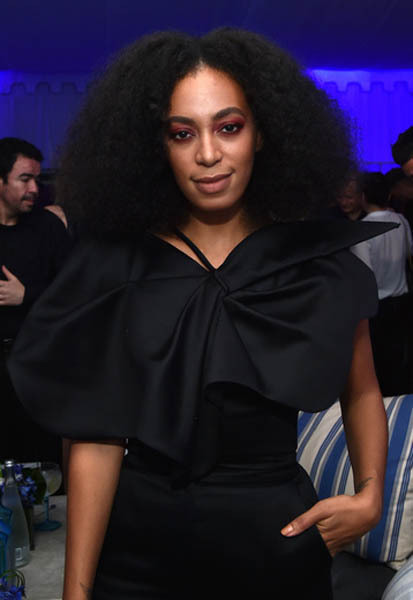 The guest list included Rosario Dawson, Solange Knowles and celebrity stylist Ty Hunter; Recording Artists: Miguel and Teyana Taylor; supermodels: Shaun Ross, Garrett Neff, and Lady Victoria Hervey; BK The Artist; TK Wonder and Cipriana Quann (Urban Bush Babes), DJ Cassidy, and Patrick Janelle (Instagram Star and Founder of The Liquor Cabinet). 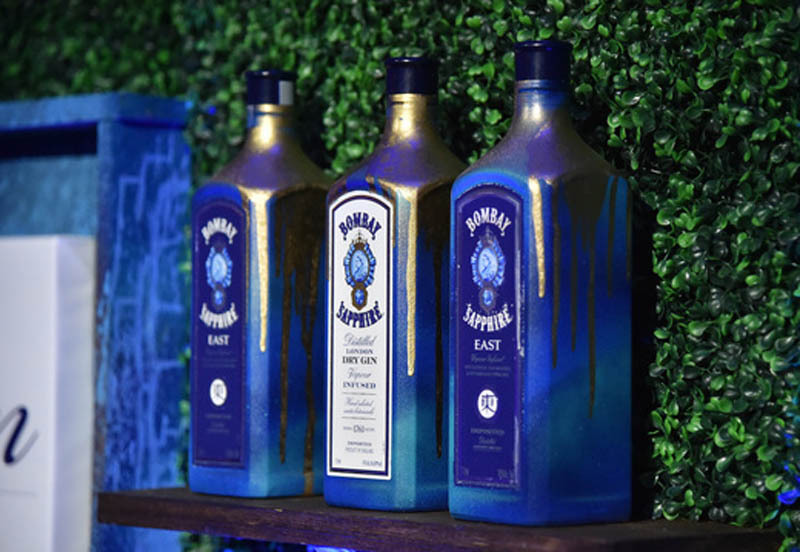 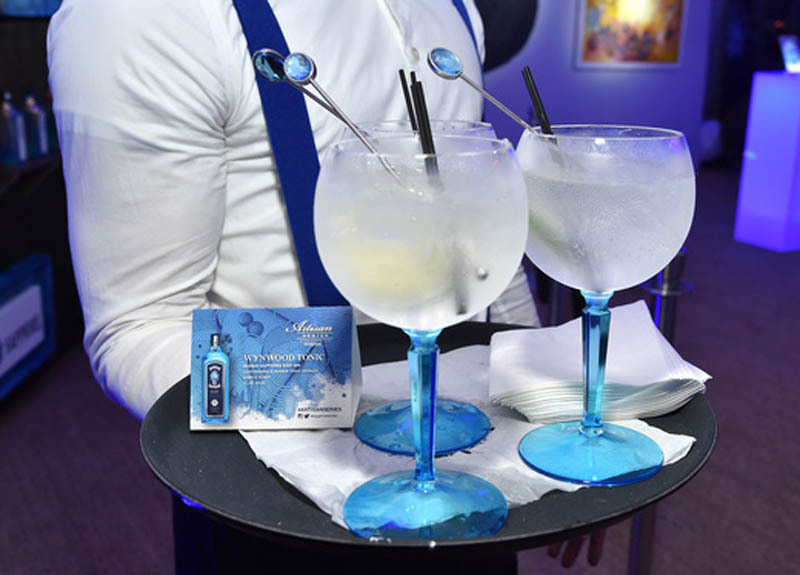 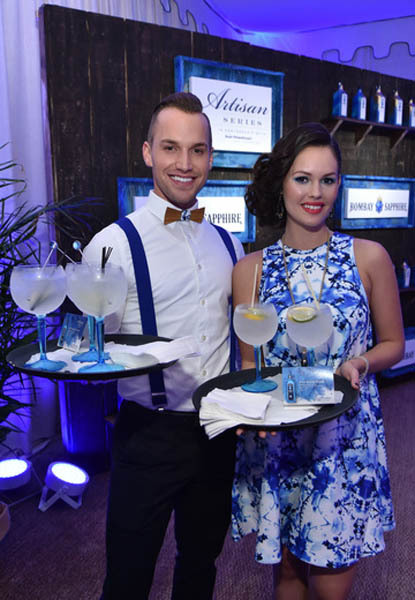 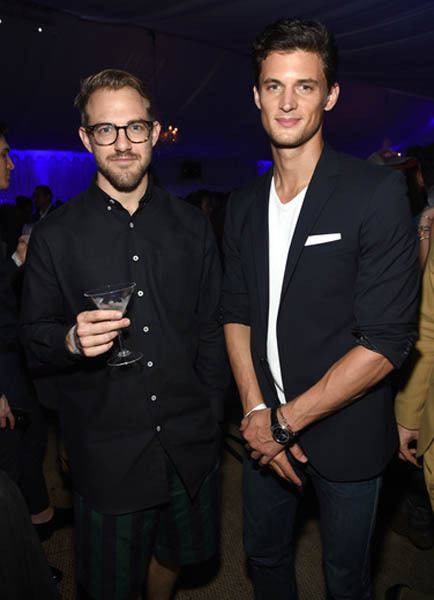 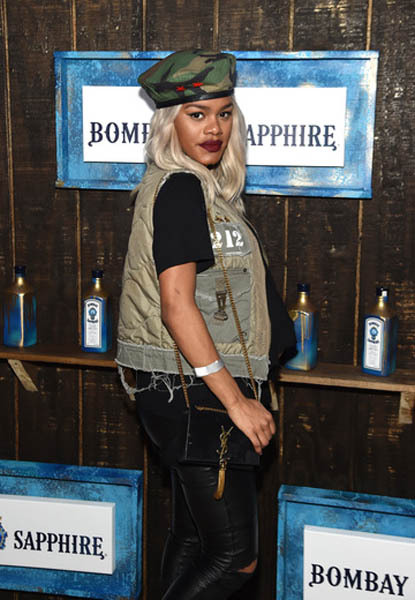 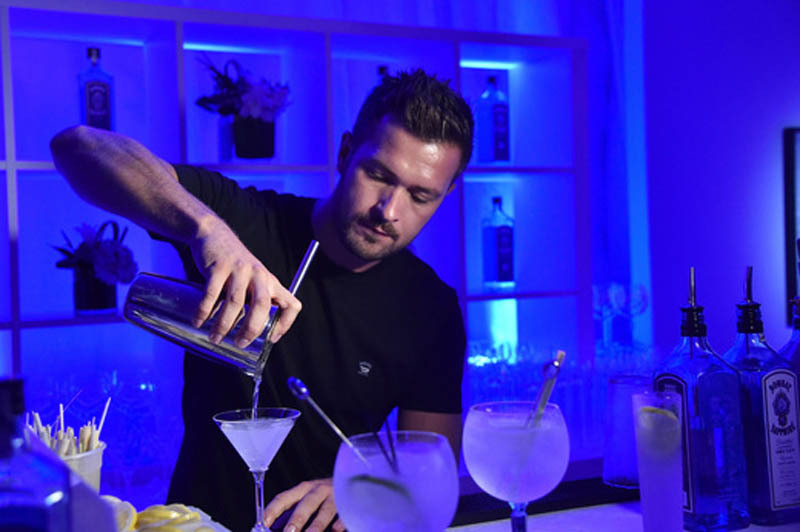 Attendees sipped artfully crafted BOMBAY SAPPHIRE cocktails while dancing to music spun by DJ Kitty Cash. 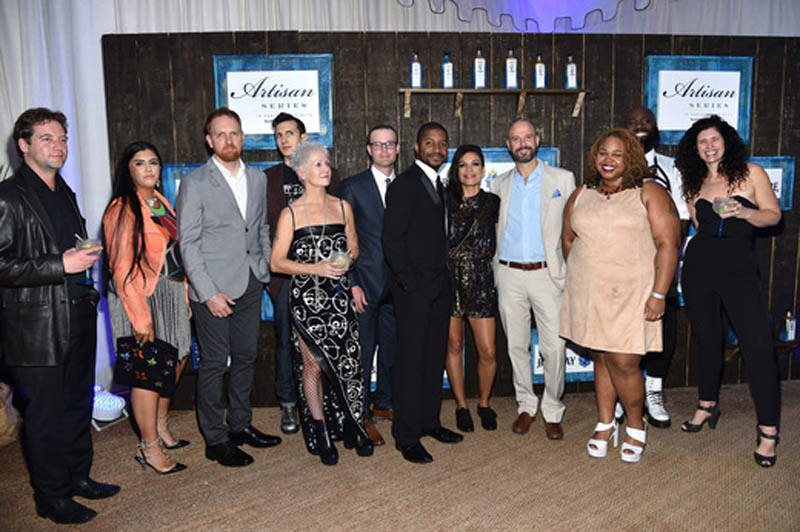 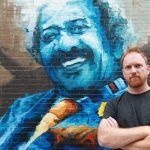 Now in its sixth year, the BOMBAY SAPPHIRE Artisan Series, an annual collaboration with Russell and Danny Simmons’ Rush Philanthropic Arts Foundation, casts its net nationwide in search of the most talented emerging visual artists. 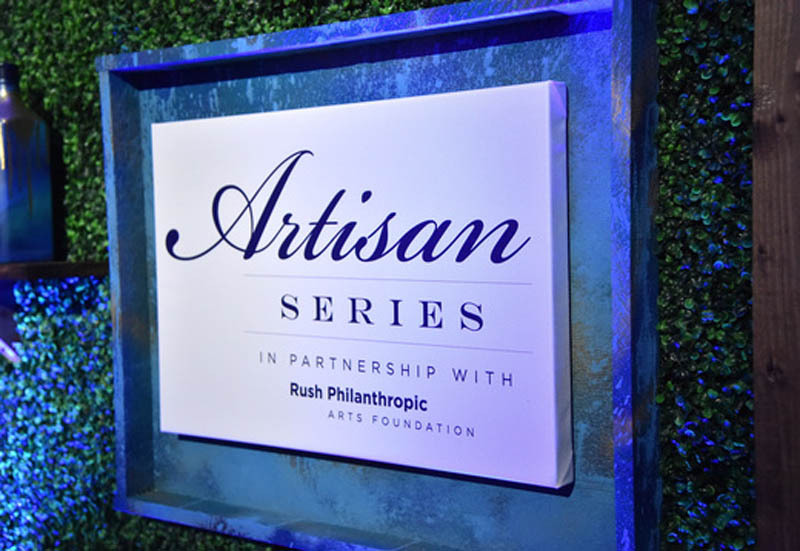 Thousands of artists were invited to enter the 2015 Artisan Series by creating a piece of inspired, original art. 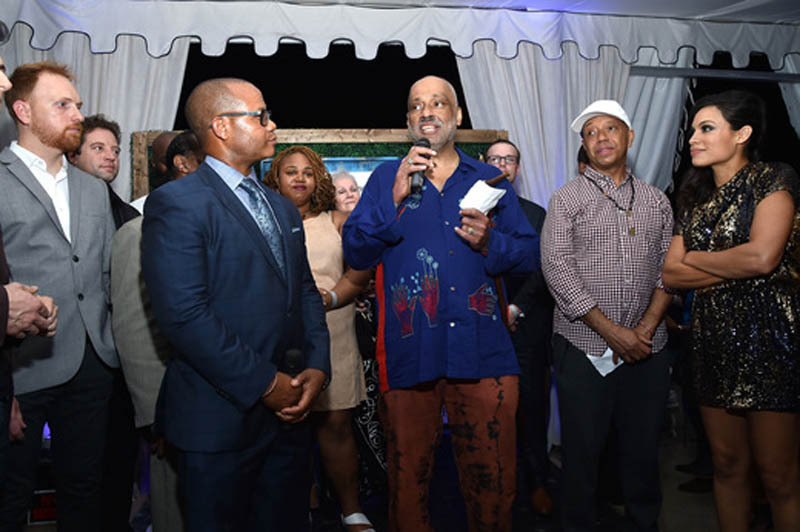 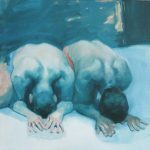 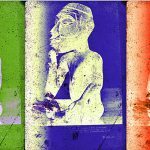 The work of ten artists was then selected from local gallery events across the United States including New York City, Chicago, New Orleans, Detroit, Washington D.C., Atlanta, San Francisco, Miami, Houston and Los Angeles. 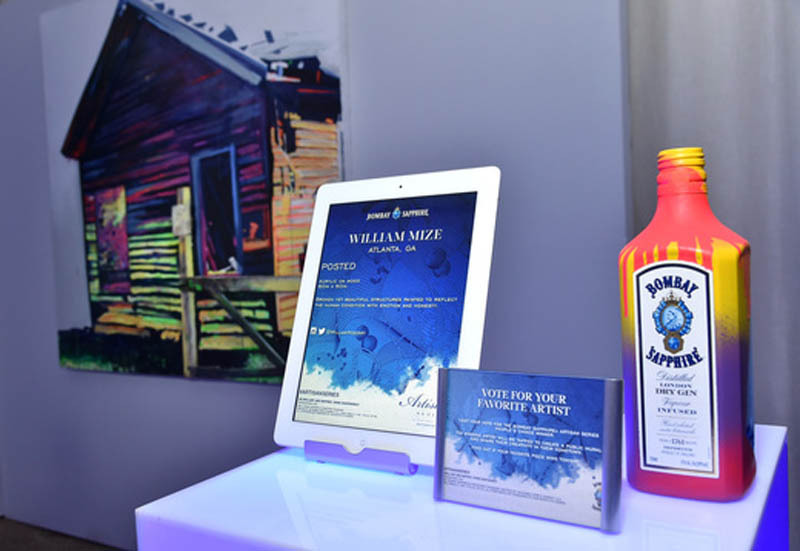 Two additional finalists were determined online by popular votes.